Background: The present study examined the prevalence of social phobia in the Swedish general population and demographic characteristics associated with this anxiety disorder. Methods: Data were obtained by means of a postal survey administrated to 2000 randomly selected adults. A questionnaire, validated against clinical interviews and established social phobia scales, was used to assess social distress in a broad range of phobic situations, as well as the diagnostic criteria for social phobia corresponding to DSM-IV. Interpretable questionnaires were obtained from 1202 respondents (60.1%). 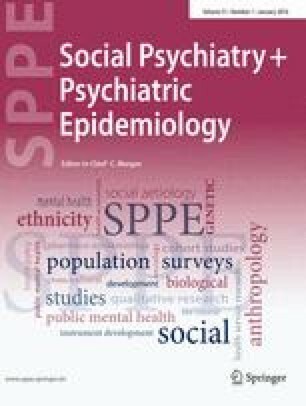 Results: The point prevalence of social phobia was estimated at 15.6%, but prevalence rates varied between 1.9 and 20.4% across the different levels of distress and impairment used to define cases. Public speaking was the most common social fear. Social phobia was associated with female gender, low educational attainment, psychiatric medication use, and lack of social support. Conclusions: Although the exact diagnostic boundaries for social phobia are difficult to determine, it can be concluded that social anxiety is a distressing problem for a considerable proportion of the general population.